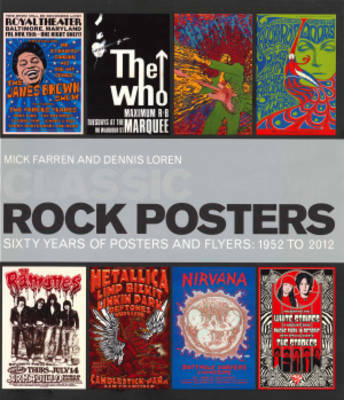 Showcases well over 350 of the finest examples of rock poster art from the last 60 years. From custom-designed posters for provincial R&B and folk concerts in the late Fifties to the computer-generated images of today.Arranged over seven chapters. Each chapter begins with a concise overview of developments during the era. Features profiles, interviews and quotes of leading artists during these periods. Focuses on influential venues describing their history and their role in the development of rock art and rock music history. Features over 350 posters, flyers and handbills produced to promote both mainstream bands and sub-genres. With posters selected by Dennis Loren (largely from private collections and from portfolios of fellow artists), this is the most comprehensive and accessible visual history of the subject published to date.